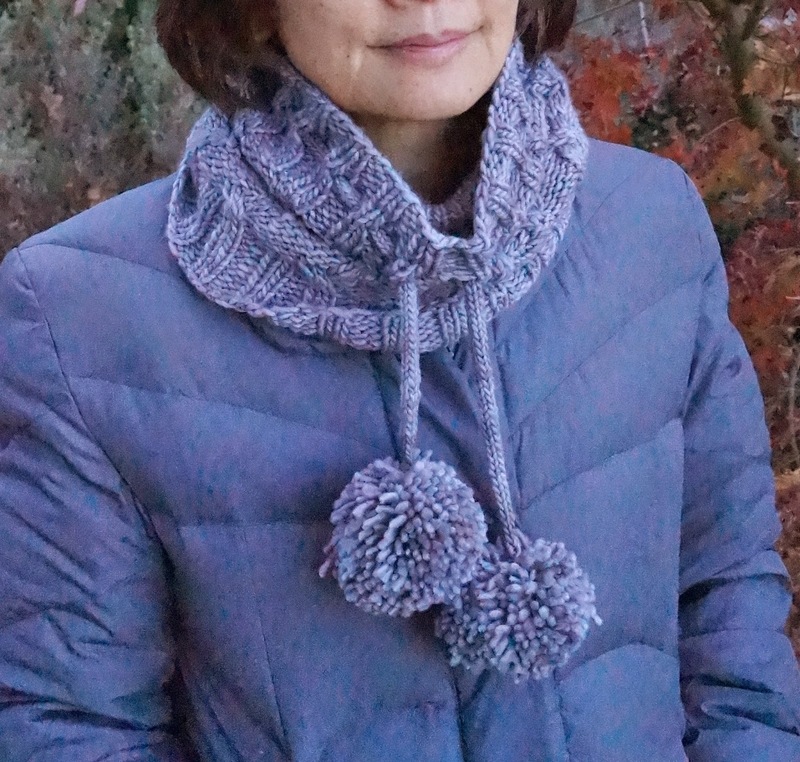 This hat/cowl is knitted as a cylinder with spiral cables. 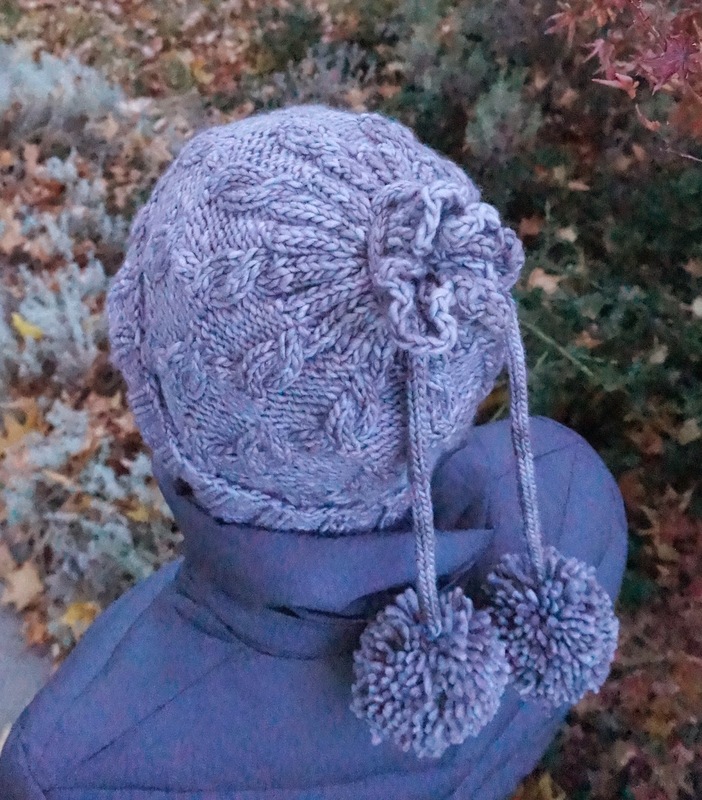 It can be worn as a hat when the i-cord is drawn tightly or as a cowl. The yarn is Malabrigo Worsted and featured on the Malabrigo Blog on April fool's day. It only takes one skein. The pattern can be purchased from Ravelry or Craftsy. I made two of them already, one for my sister's birthday and one went to my college roommate who was getting chemotherapy and I thought could use a soft hat to keep her head warm. The yarn is really soft by the way. I will have to make another one for myself and use it as a sample.